UiG Brand Item Code : DSC00768 Made in China Packing Details : Per customer's packaging requirements or our standard packaging to be discussed later. Samples are available. 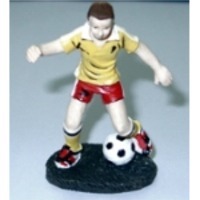 However, potential buyers may need to pay freight charges. Customer's own designs are welcome. Short on time? Let cakes sellers contact you. Origin : Neem [Azadirachta indica] Neem cakes are derived from Seeds of Neem Kernel. Neem is believed to be the tree of medicine which has noted for its drought resistance. Neem products are believed by Siddha and Ayurvedic practitioners. 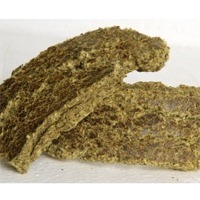 Neem cakes are prepared from Cold Pressing Technology. In this process, oil is squeezed out from the neem kernel under cold process and the remaining biomass is called Neem cake. 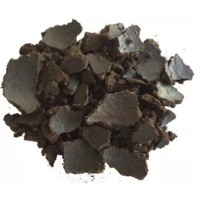 N (Nitrogen 2.0% to 5.0%)Tierra Overseas is manufacturer and exporter of high quality Neem cake which has a sufficient quantity of NPK in organic form required for plant growth. As it is a botanical product, it contains 100% natural NPK content and other essential micro nutrients like P (Phosphorus 0.5% to 1.0%) K (Potassium 1.0% to 2.0%) Ca (Calcium 0.5% to 3.0%) Mg (Magnesium 0.3% to 1.0%) S (Sulphur 0.2% to 3.0%) Zn (Zinc 15 ppm to 60 ppm Cu (Copper 4 ppm to 20 ppm) Fe (Iron 500 ppm to 1200 ppm) Mn (Manganese 20 ppm to 60 ppm). It is rich in both sulphur compounds and bitter limonoids. 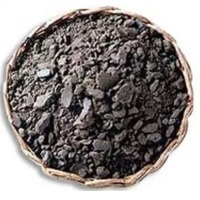 Product Form : Solid Product Shape : irregular Colour : Dark Brown Mode of Action Neem cakes make soil more fertile due to a content that prevents soil bacteria from converting nitrogenous compounds into nitrogen gas. It enhances the availability of nitrogen to both short duration and long duration crops. 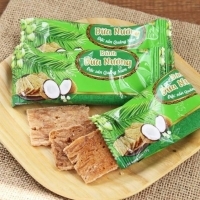 Benefits : * Neem cake’s organic manure protects plant roots from nematodes, soil grubs and white ants. 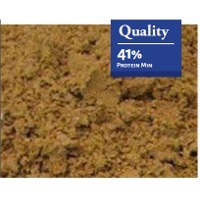 * Neem cake is widely used in India to fertilize paddy, cotton and sugarcane. Usage of neem cake have shown an increase in the dry matter in Tectona grandis (Teak), Acacia nilotica (Gum Arabic), and other forest trees. * Neem cake also reduce alkalinity in soil, as it produces organic acids on decomposition. * Being totally natural, it is compatible with soil microbes and rhizosphere microflora and hence ensures fertility of the soil. 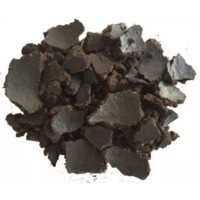 * Neem cake improves the organic matter content of the soil, helping improve soil texture, water holding capacity, and soil aeration for better root development. Karanja cake is an excellent organic Soil input. 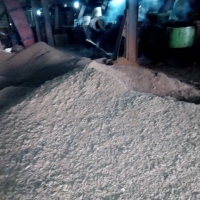 Karanja cake is the residue while karanja seed is crushed for karanja oil. Karanja tree is popularly known for its medicinal properties, and it is traditionally used for many years. 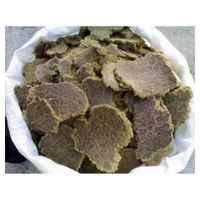 We manufacture Karanja Cake by processing pure karanja seeds, and crushing pure karanja seeds, extract karanja oil from it. The cake is left after extracting the oil from Karanja seeds. 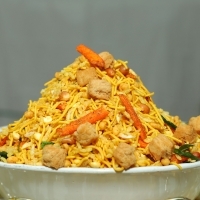 Tierra Overseas is manufacturer of high quality Karanja cakes in India. Specification Karanjain >1500 ppm Aflatoxin Nil. Tested by TLC Oil Content 6.0 % Min Moisture 9.0% Max Total Ash 7.5% Max Nitrogen as N 3.5% minimum Phosphorus as P 0.5 % Minimum Potassium as K 0.5% minimum Benefits of Karanja cake * Karanja Cake is useful as source of Organic Fertilizer. * Karanja Cake is proven to be effective against root knot nematodes e.g. (Meloidogyne incognita). Karanja cake also has broad spectrum activity against a wide category of Nematodes. * Being totally botanical product it contains 100% natural NPK content and other essential micro nutrients as well. The pongamia cake is very good to use as organic fertilizers as they are a rich source of NPK which improves soil fertility. * It can be mixed with neem cake pellets to give a synergic result. * Farmers who want to switch over to Karanja Cake should apply both simultaneously, decreasing the chemical or current fertilizers slowly. 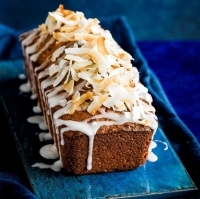 * Calcium & Magnesium in cake helps in reducing alkalinity in soil. * It increases in growth and leafage of the plants. Eco-Friendly * Extremely safe to mammals, human beings, animals, natural parasites, predators, non target insects, fishes, birds, etc. No phytotoxicity and exempted from residue analysis. Method of Use * Mix recommended quantity of the product with well decomposed farm yard manure or farm soil and broadcast during the last ploughing or sowing followed by irrigation. An evening time is ideal for broadcasting this product. In case of liquid formulation, shake the bottle well before use. Once a bottle is opened the entire content is to be used at once. This product should not be mixed with any antibacterial agent or any chemical fertilizer. Recommended for * Millets, Oilseeds, Fruits & Vegetables, Coconut, Oil palm, Cotton, Chilly, Lime, Tea, Banana, Flowers, Spices, Contiments, Herbs, Perinnial trees. 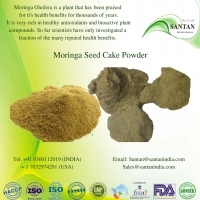 Cotton seed oil cake, a by-product of extracting oil from cotton seeds, is the second most valuable product of cotton seeds. 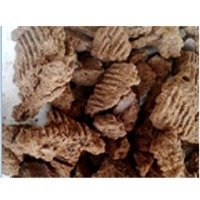 is a major source of livestock feed. It is also used as fertilizer, either alone or in mixtures with other ingredients. It is an excellent organic source of nitrogen, phosphorus, potash, and many minor plant food elements. 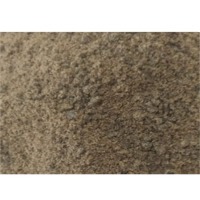 We supply product as the ISI standards for oil content, protein, fibre, moisture content, sand/silica and colour. We are located in India, the second largest cotton seed producer in the world and so can supply high grade oil cake consistently.